After almost a decade of sourcing and roasting the finest coffee beans, we are convinced that a perfect cup of coffee is like a “Copper Moon”—a rare moment in time when precise alignment creates something truly unique. Copper Moon World Coffees are blends of the very best Arabica coffees from around the world. Our growers are very careful to select only the finest beans for our world blends. The coffee beans we roast are grown at high altitudes in tropical climates where the soil is rich in nutrients. This fertile soil combined with just the right amounts of sunshine and rainfall, temperature and altitude, are all mission critical components for growing great coffee beans. Our coffee beans are sourced from several unique coffee growing countries around the world. Many of these countries have a number of different growing regions, each with specific plantations which experience a wide variety of growing conditions. Our diverse, Premium Coffees selections are well-known blends that can be enjoyed all day and every day. They are smooth, distinctive, and perfectly roasted to intensify the unique aromatic quality of each and every bean. Our 100% Organic Coffees have been officially recognized that they are grown in purely natural conditions. Organic nutrients and careful attention to many agricultural details help produce this all natural, unique blend of Central and South American coffee beans. Copper Moon offers a wide variety of gourmet flavored coffees. We use only the finest flavors to blend with our unique 100% Arabica coffees. When we handcraft each of our flavors, we pair just the right amount of flavor to compliment the pleasant aroma of our coffee, to perfectly balance the taste in every cup. Our Seasonal Blend Coffees are as unique as the seasons which inspired them. From Pumpkin Spice in the Fall to Holiday Spice in the Winter, and our Iced Coffee in the Summer, each is crafted using only the finest 100% Arabica beans for a perfectly balanced, enjoyable cup of coffee in any season. 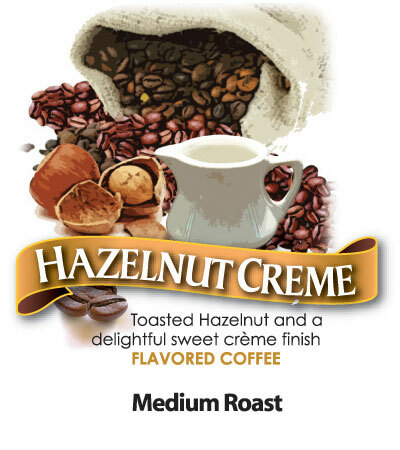 Our Donut Café Coffee is a classic, All-American inspired coffee. 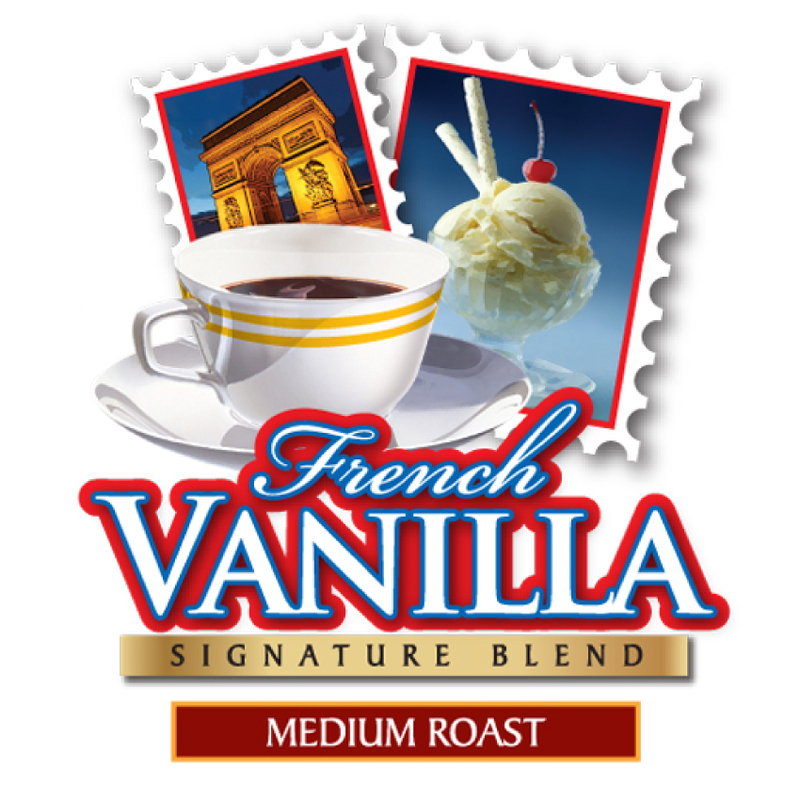 This truly “Americana” style coffee goes great with any freshly baked treat (not just donuts). Or simply enjoy a cup on the run as an excellent way to start your day. We offer a wide variety of single cup coffees, teas, Chai Latte, and Hot Cocoa beverages for use with any single serve coffee maker. You will love the rich, wonderful flavor of our great selections. We have a full selection of single cup coffees, teas, and beverages in traditional hard cup design. Copper Moon Instant Coffees are enriched with Ganeden BC30 Probiotic to support the digestive health and vitality of your immune system. 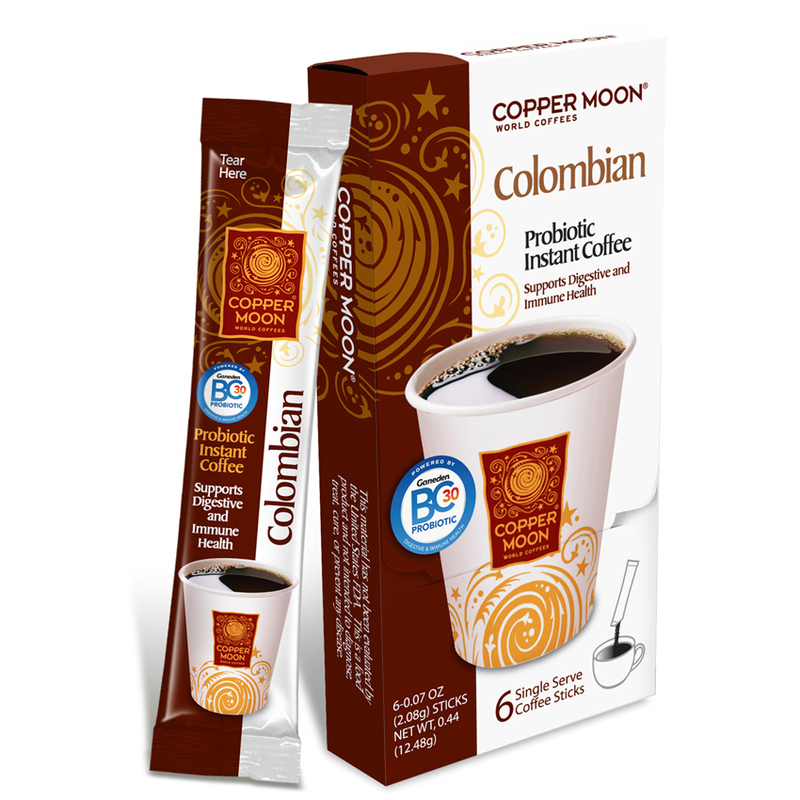 Copper Moon instant coffees are full of complimentary flavor and full-bodied taste. The easy-open stick packaging allows you to enjoy a great cup of coffee whenever you are on the go. Copper Moon offers a vast selection of premium In-Room Hotel Coffees. Just choose the blend and size that’s right for you and the guests you serve. We can also customize a complete In-Room Coffee Program for your particular environment. Let us know how we can help serve your unique coffee brewing needs.